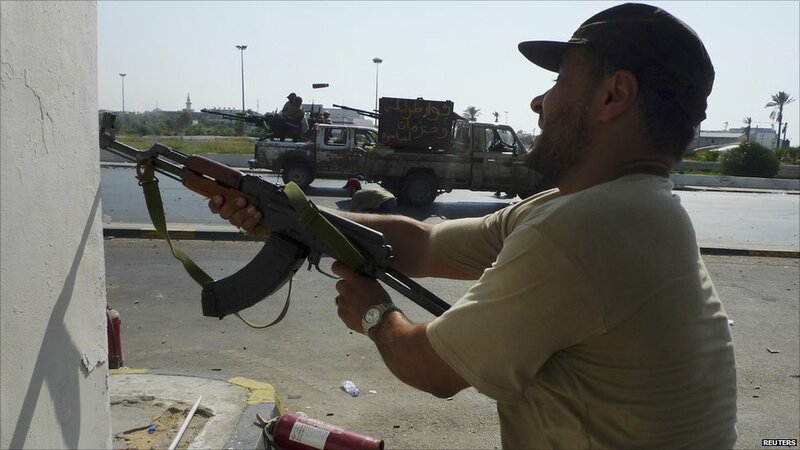 Libya's rebels now control much of Tripoli, but fighting continues around the compound of Col Muammar Gaddafi, whose whereabouts are unclear. 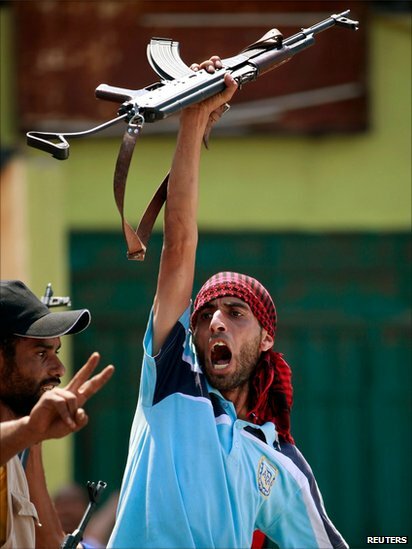 The rebels rolled into the capital to find most pro-Gaddafi forces had melted away. In many areas - such as the Qarqarsh district shown here - they were given a warm welcome. 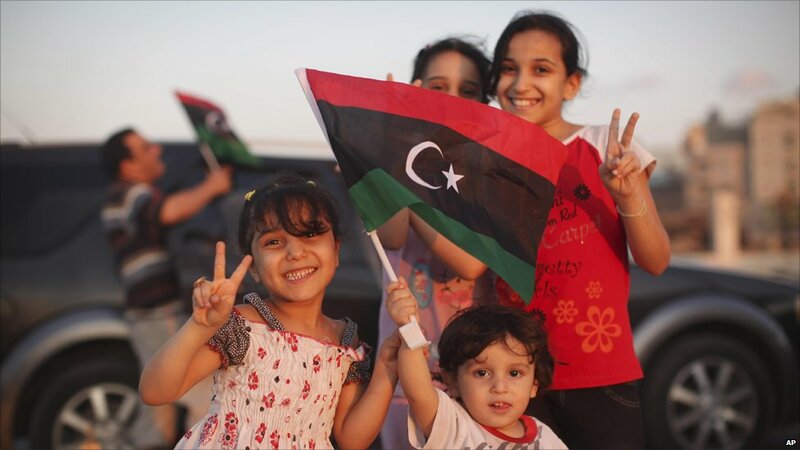 As yet, there is no clear picture of what a post-Gaddafi Libya will look like, but for now, the rebels are savouring their swift advance - even if fighting continues in pockets of the capital. The rebels moved quickly to establish their control over the capital, seizing military installations - among them, the training school in Tripoli for women army officers. 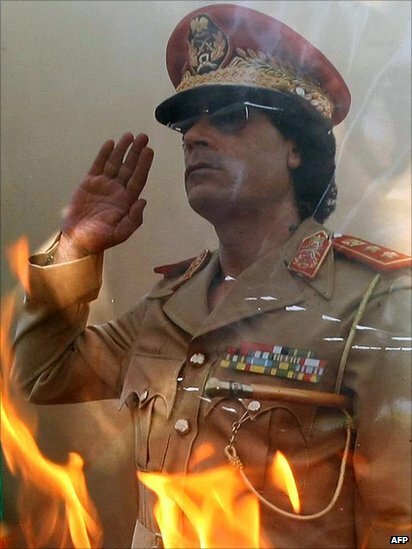 Posters of Col Gaddafi were torn down and defaced - actions which would have been all but unthinkable just six months ago. 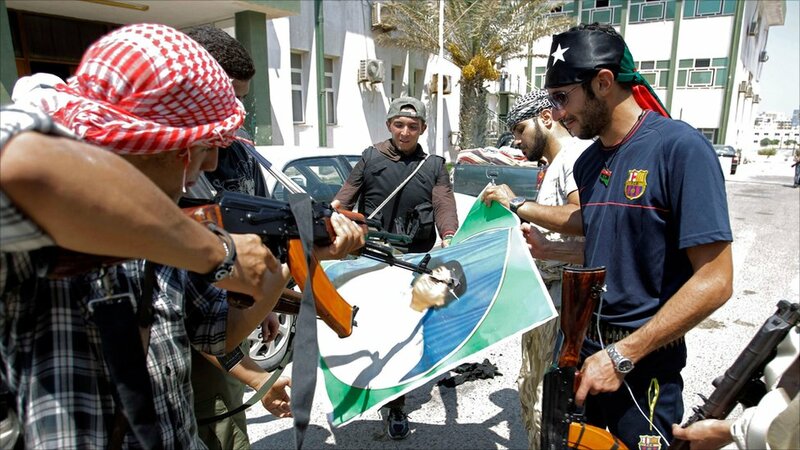 In the districts under their control, the rebels combed the streets for Gaddafi supporters and soldiers. 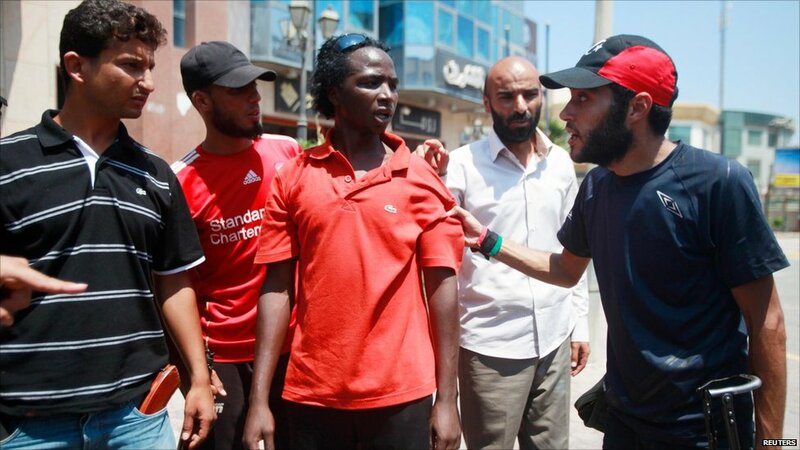 This man from sub-Saharan Africa (centre) was among those stopped and questioned. International journalists at the Rixos Hotel were not allowed out to cover the fighting they could hear from their rooms. 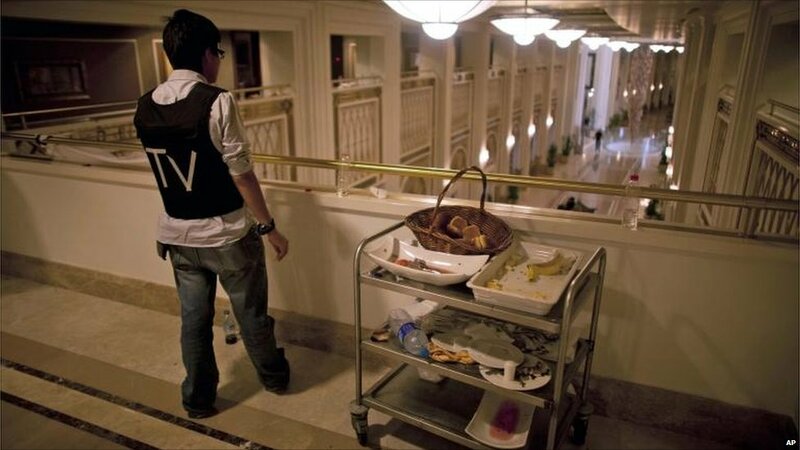 Their armed minders were still there, but the hotel staff had fled, along with their families. The colonel's image has been ubiquitous, even though the man himself has not been seen in public since May. But now, as the rebels consolidate their hold on the capital, the propaganda posters are going up in flames. 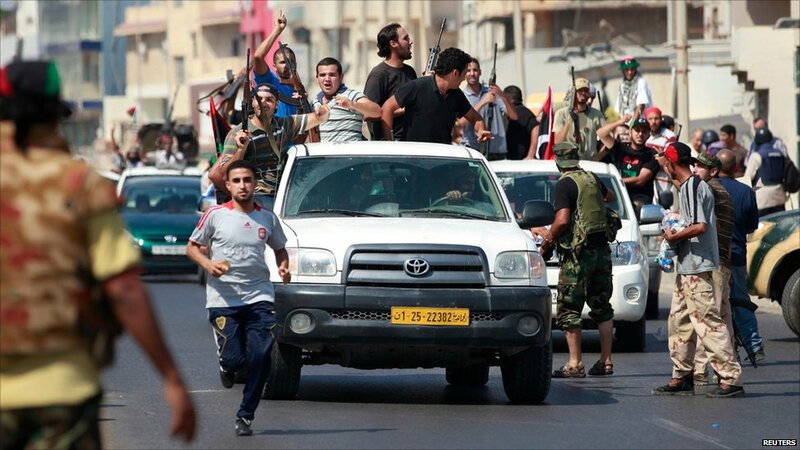 Similar scenes of jubilation were witnessed in Benghazi, the rebels' stronghold in the east.